Underground Racing is one of the few tuning companies out there that actually makes supercars that can decimate any track day, while having the ability to be driven on a regular basis. 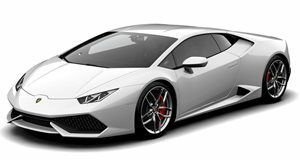 The tuning company is back to breaking more records with its twin-turbocharged Lamborghini Huracan, but this specific model is special because it retains its dual-clutch transmission. During some test runs with new clutch plates, Underground Racing’s UR1 Huracan managed to complete the quarter mile in record-breaking time. While this pass may be the one that set a new record, Underground Racing still has more in store for its UR1 Huracan. For now, enjoy the blistering speed and awesome soundtrack that comes with twin-turbocharging a supercar.